Trappist beers is what we specialise in here. They are old, classic (mostly) Belgian beers that have stood the tests of time and are generally loved all over the world. The Belgian media recently reported that a bar owner who was carrying out renovation on his property discovered 14 vats of beer buried underground. Ten of those vats contained the Dutch "La Trappe" beer. A quick calculation led them to believe these vats were more than 10 years old, having been bought in 2004. Inexplicably, the new owner of the bar buried these vats to use them as a foundation for a structure that was to be built on top of them. He found the vats to be of no use because they used a connection piece that was not easily found. Opening them wasn't easy. A specialist from the brewery had to be called to bypass the old connection piece. Once this was done, the bar offered a free beer from this vat from anyone who asked. A delegation of the La Trappe brewery from Holland was sent to sample the beer. Naturally they were curious as how the taste of their beer would have evolved in these circumstances. 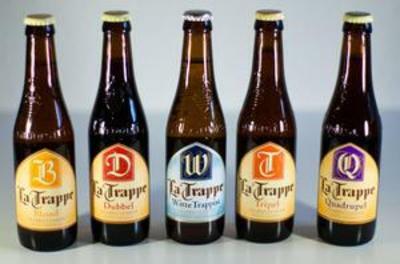 The owner of La Trappe, Thijs Thijssen, was pleasantly surprised.